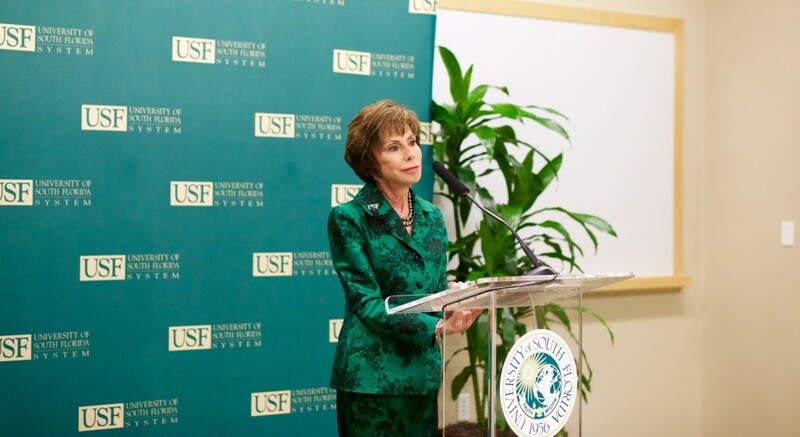 Perhaps the most recognizable figure in USF history, President Judy Genshaft will soon be adding former to her title. The announcement of Genshaft’s retirement was first made official in a letter to students Monday morning and subsequently at a press conference later in the afternoon. Genshaft grew emotional at the press conference when discussing the decision to step down from her role. "Intellectually, it's the right decison, the right time for me and my family," Genshaft said. "Emotionally, I'm a washrag, a puddle." In her 18-year legacy at USF, Genshaft left a trail of accomplishments in her path. 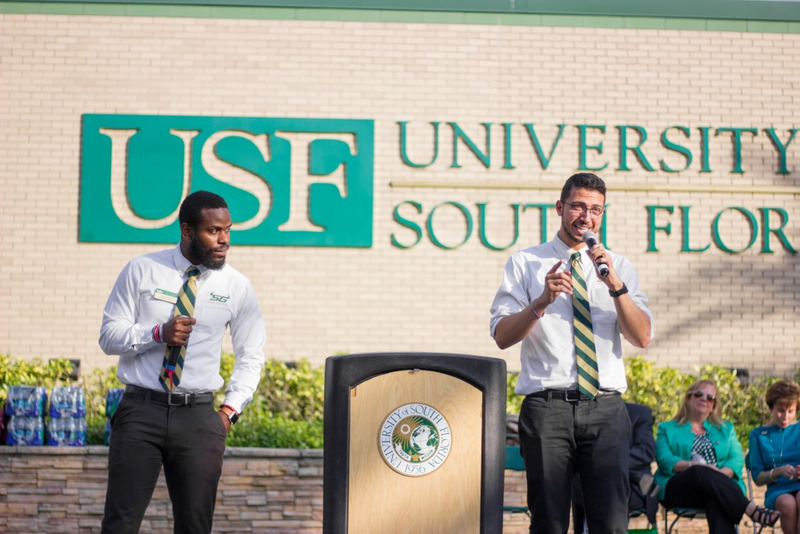 Most recently, USF reached preeminent status — a status in which the university had to meet 11 of 12 metrics outlined by Florida’s Board of Governors, including things such as graduation rate, student retention rate and research expenditures. As a result of the $568 million spent in research expenditures, USF was named in the top 30 public research universities nationwide. Also under Genshaft's supervision, the USF College of Medicine is in the process of having its own facility in downtown Tampa. Genshaft has also worked to transform USF from a commuter school to a university with over 6,300 residents who live on campus. USF’s six-year graduation rate has increased to 70 percent from the 38 percent when she first arrived. Genshaft’s journey as system president, however, was not without speed bumps. In 2001, Genshaft would ban now-former computer science professor Sami Al-Arian amid allegations he was a supporter of terrorism. Al-Arian was later arrested on federal charges in 2003 and his dismissal came soon after. Jim Leavitt, USF’s first-ever football coach, also caused a disturbance for Genshaft in 2010. Leavitt allegedly grabbed a player by the throat and slapped him, before denying that it ever happened. Genshaft fired Leavitt soon after and he was replaced by Skip Holtz. Genshaft, the seventh person in her role, will join Betty Castor, John Lott Brown and John Allen as some of the past system presidents — and will do so as the longest tenured. As for what is next for Genshaft, she emphasized that she still has 10 months in her role, but that she intends to stay in the Tampa Bay area after she steps away. In her absence, the university will now have to look to replace a system president whose tenure spanned almost two decades. Genshaft said three points will be a major focus in finding her successor: a legitimate, transparent and inclusive process. Though, since her announcement is so new, the search for her replacement has not officially begun, Genshaft said she hopes her replacement will posses familiar characteristics. “I hope the next (system president) has the same passion and drive and optimism that I have and will always have for the University of South Florida,” Genshaft said.